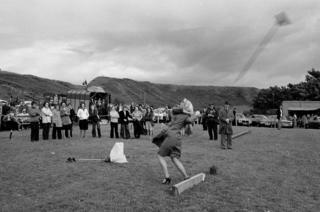 Three bodies of work offer a glimpse into daily life in rural Scotland in the late 1970s and 80s. From everyday life to local customs, the photographers show a different side to life as the towns keep their traditional identity amid modern times. 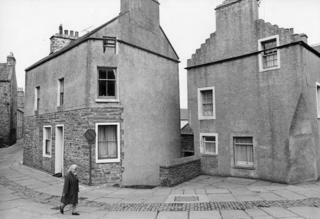 Chick Chalmers' documentary work focuses on the Orkney Islands and the inhabitants of towns such as Stromness. 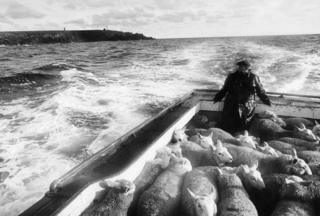 Below, sheep are transported from their grazing on the small island of Copinsay to be sold in the capital, Kirkwall. 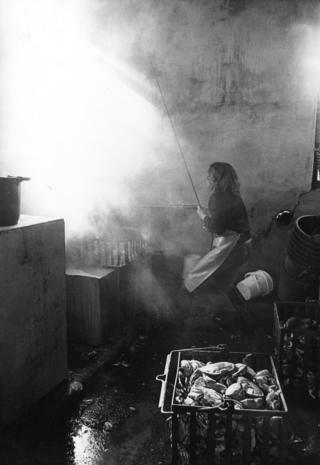 At the Orkney Fishermen's Society Ltd, a co-operative in Stromness, crabs are boiled then packaged for export, but lobster are exported alive. 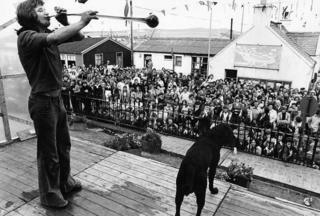 Accompanied by his dog, a man attempts to drink a yard of ale while a crowd watches on during Stromness Shopping Week. 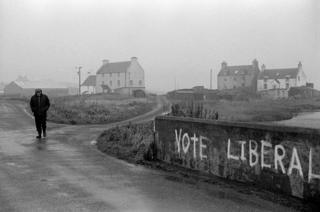 Tom Kidd's project went even further north, focusing on the Shetland Islands. 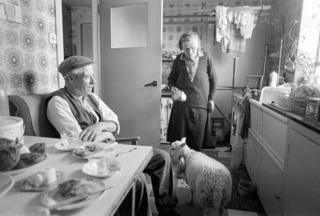 In the parish of Nesting, John and Jeannie are seen at home with their pet lamb. 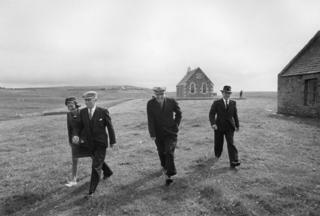 Kidd also catches people returning from church on Fair Isle and walking through the landscape of Walls. 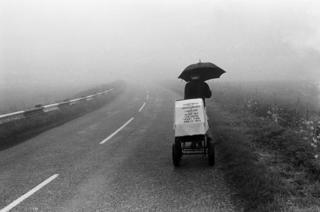 Glyn Satterley is known for his images of Scottish sporting estates, but in these images he documents life in the areas of Caithness and Sutherland. 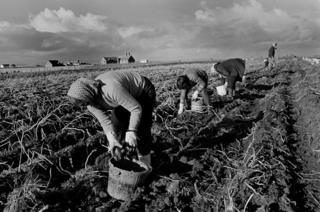 Many believed that the oil industry brought wealth and prosperity to the whole of Scotland, Satterley's images attempt to show a different side to the story. 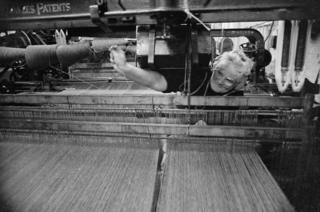 In these photographs, a woman tosses a broom in Dunbeath and a weaver works her loom in Brora Mill. 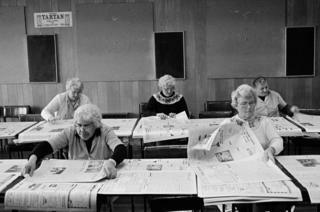 Potatoes are picked in John O'Groats and in a hotel in Golspie, women hand-fold and assemble The Northern Times ready for publication. All photographs courtesy of Street Level Photoworks. They can be viewed at the gallery in Glasgow until 27 August.